The Image of the Black in African and Asian Art asks how the black figure was depicted by artists from the non-Western world. Beginning with ancient Egypt--positioned properly as part of African history--this volume focuses on the figure of the black as rendered by artists from Africa, East Asia, and the Indian subcontinent. The aesthetic traditions illustrated here are as diverse as the political and social histories of these regions. From Igbo Mbari sculptures to modern photography from Mali, from Indian miniatures to Japanese prints, African and Asian artists portrayed the black body in ways distinct from the European tradition, even as they engaged with Western art through the colonial encounter and the forces of globalization. 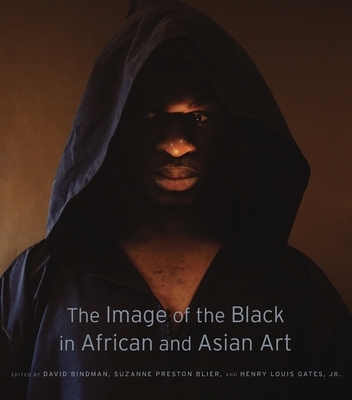 This volume complements the vision of art patrons Dominique and Jean de Menil who, during the 1960s, founded an image archive to collect the ways that people of African descent have been represented in Western art from the ancient world to modern times. A half‐century later, Harvard University Press and the Hutchins Center for African and African American Research completed the historic publication of The Image of the Black in Western Art--ten books in total--beginning with Egyptian antiquities and concluding with images that span the twentieth century. The Image of the Black in African and Asian Art reinvigorates the de Menil family's original mission and reorients the study of the black body with a new focus on Africa and Asia.